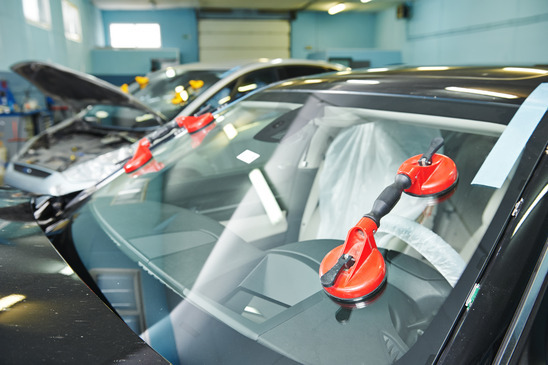 Windshield repair cost is generally between $20 – $325. This price range reflects the differences in by vehicle type and whether the repair is for the front or rear windshield. If It is a full replacement, it will cost more than just a repair… much more. If you need a windshield repair in the GTA, give Wizard Auto Glass a call at 1-(877)-564-5331 today, or fill out a quote request form online. The replacement of the front windshield glass is the most expensive repair, averaging $300 for all vehicle types.The replacement of a windshield may have additional costs, depending on the type of vehicle. 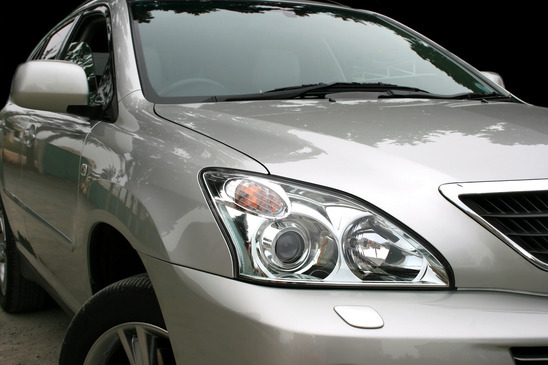 Vehicles with special molding requirements will add up to $20 to the cost of repair. If the windshield has wipers attached, may result in another $10 to $20 increase in the windshield repair cost. Different auto shops charge different amounts for these factors. It is always best to get a second opinion from a trusted mechanic at a reputable shop like us here at Wizard Auto Glass. Chips and cracks occur when debris, such as gravel, hits the windshield, leaving a mark. This is not something to be too worried about, as most chips and cracks can be easily repaired, but it is better to get it done as soon as possible. Waiting could result in further damage, and it may require full replacement. You run a fingernail across the surface of the crack and it is caught, this requires the repair to be performed by an auto glass repair shop. This repair will cost between $20 and $60. A mobile service is around $55. The cost to repair a chip or crack is on a per incident basis – that is you will pay for every crack or chip. The size of the crack will also determine the cost. Chips or cracks that are up to a foot in length will cost around $50 to $60 to repair. Those chips and cracks that are between one and two feet in length will cost somewhere between $60 to $70 to repair. Have a damaged windshield? Contact us now to get a fast and free quote online or over the phone! This entry was posted in Auto Glass Related, Auto Glass Repair, Auto Glass Replacement, Uncategorized on February 15, 2017 by Auto Glass Wizard's Blog. Sometimes vehicle collisions are unavoidable, hence the name accidents. In the event that you get into an accident, you will need to contact your insurance company to let them know. Here at Wizard Auto Glass, we know you are already stressed enough without dealing with your insurance company. This is why we offer our Vehicle Vandalism Claims services along with our windshield repair services in the GTA. If you don’t want to deal with your insurance company, we’ll do it for you. We’ll even tow it to our shop for free to do the assessment. Keep reading for more information about making a claim, and useful information to get after the accident. Safety: The first thing to do is to make sure everyone involved is safe and unharmed. Report: If no one is harmed, and the damage looks to be less than $1000, you don’t have to call the police, but you do have to call a Collision Reporting Centre to report the accident. You will need to do this within 24 hours of the accident. 911: If anyone is hurt, or if there is damage that appears to exceed $1000, you will need to call Emergency Services (police or ambulance). Call your Insurance: Once you have your emergency services sorted, you will need to call your insurance broker or insurance company to support you through the claims process. Stay calm: You’re stressed enough, panicking won’t help the situation. Try and remain calm after the collision. We know – easier said than done. Call or e-mail your insurance representative to let them know what has happened and how best to contact you. They will report your claim and provide all of the necessary policy information to your insurance company. In most cases, a claims adjuster will be assigned and they will follow up with you for your claim, and to get coverage if you qualify. Accidents don’t always happen during business hours. If you have an emergency situation requiring immediate assistance, many insurance companies have a 24-hour claims service to assist you. You can either look up the number to call or call your insurance company’s toll number to be directed to the 24-hour claim service. If you have cell phone or camera on you use it to take pictures of the accident. This will give you visible proof for your insurance company. Write down the names, telephone numbers, addresses,and driver’s licence numbers of the other drivers. You should also write down the licence plate numbers of any other involved vehicles, as well as the names, addresses of the registered vehicle owners (if they are not present), and the insurance information for each of the other vehicles. If you can, write down the names, addresses, and telephone numbers of any witnesses. You should also write down any specific details about the scene of the accident. You will likely not be in the right headspace after the accident, so this will be helpful once you’ve calmed down to remember the details for your insurance company. And remember, don’t voluntarily assume responsibility or liability for the accident, sign statements regarding fault, or promise to pay for damage at the scene of the accident. You may be able to save yourself a lot of time, money, and grief by waiting for the police and insurance company’s take. Did you get into a collision and are too stressed to deal with your insurance company? 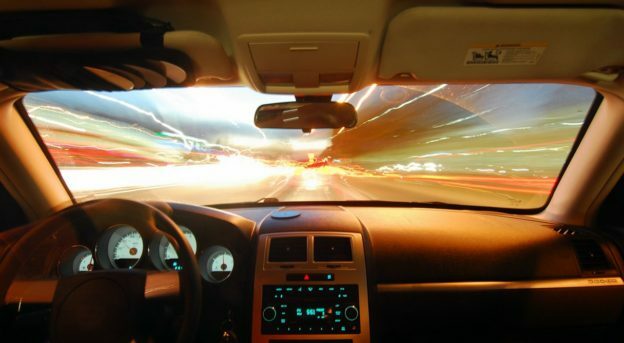 Wizard Auto Glass has years of experience in reporting insurance claims. We will deal directly with your insurance company so you don’t have to! Give us a call at (877) 564-5331 to learn more! This entry was posted in Uncategorized on November 30, 2016 by Auto Glass Wizard's Blog. When your auto glass has been damaged, you need to make a few fast decisions about getting it repaired. This can include “where do I take it?” Or “do I get my insurance involved?” On e thing you may not have thought about is choosing aftermarket products over your vehicle’s manufacturer made part. Why is this important? Aftermarket parts have many benefits that people tend to overlook. Keep reading to learn more about the benefits of aftermarket parts over original parts. If you need a repair shop to replace your damaged auto glass, book an appointment with Wizard Auto Glass. We service the Brampton area, use aftermarket parts, and offer warranties on all of our services. 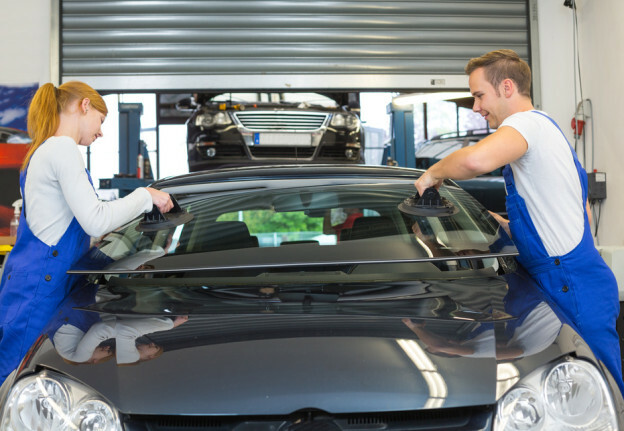 If you’re new to vehicle repairs, you may not have come across the term “aftermarket” before. Aftermarket parts are simply replacement auto parts that are made by secondary company and not your vehicle’s original manufacturer. 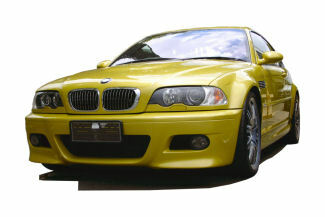 Parts offered from the original manufacturers are referred to Original Equipment Manufacturer (OEM). Aftermarket products have also been referred to as competitive replacement parts, non-OEM parts, or generic parts. Less expensive: One of the primary benefits of using aftermarket auto glass is that they are often much less expensive than the replacement parts offered from the original manufacturer. The prices of aftermarket parts for cars can vary depending on quality, but tend to stay relatively cheaper than original parts. Wizard Auto Glass only uses aftermarket auto glass of high quality, and offers warranty with all services, ensuring our customers that we stand behind our work. Insurance: Aftermarket parts should not interfere with your vehicle’s insurance or warranty, though it is recommended that you talk to your insurance provider before doing any repairs or replacements. More variety and availability: Another benefit is that aftermarket companies offer a larger variety of parts and have a higher availability rate than original manufacturing companies. There are many companies that sell aftermarket parts, all with a variety of auto glass replacements for different makes and models of vehicles. They also tend to create and sell them in bulk, meaning that there is more available on the market for faster replacements and at less cost to the consumer. They are just as safe: Since aftermarket parts are designed around the malfunctions of original parts, they are just as safe as using OEM products. There are no safety implications of using aftermarket parts over original. Better quality: Many aftermarket exterior car parts are designed to fit multiple models, and some cases, the competing aftermarket parts have fit and worked better than the originals. The quality of some aftermarket parts can be greater than original parts. They may work better, fit better or just longer-lasting than OEM parts. This is because aftermarket companies focus more on finding and working out the issues with the OEM parts. Does your auto glass damaged? Give Wizard Auto Glass a call at 877-564-5331 today and book an auto glass replacement in Brampton today. Or fill out a request form for for a free quote. This entry was posted in Uncategorized on October 12, 2016 by Auto Glass Wizard's Blog. There are many things about windshield replacement that the average person isn’t informed about. Information about safety and insurance shouldn’t be taken for granted so read on to learn about common misconceptions that people often fall for. Wizard Auto Glass has had years of experience and is ready to beat any auto glass quote. Let our team handle your windshield replacement with professional and fast service. Just give us a call! You can drive safely in your vehicle right after your windshield has been replaced. The short answer is no. It’s possible that the windshield can come loose mid-drive right after getting your windshield replaced. The adhesives that are holding your windshield to your frame need time to set. The time it takes to set can vary depending on the car and adhesive, so ask the auto glass shop how long you should wait until it’s safe to drive again. Additionally, weather conditions can determine how long it takes for the adhesive to set. Warmer and wetter conditions will speed up the process while drier and colder conditions will do the opposite. If you make a claim with your insurance company, your rates will increase. Nope. Most windshield damages happen due to small rocks that fly onto your windshield on highways. Since these incidents can not be controlled by you, they fall under comprehensive insurance or “acts of nature”. Usually, your rates will not go up in these circumstances since they are not related to how you drive. Other comprehensive claims can be vandalism or theft. Only a small part of your insurance bill should be for comprehensive loss risk. To get your windshield replaced, you must go wherever your insurance company tells you to go. Not true. You have the right to go to any glass shop by law, as long as it is someone who is insured. The insurance company can not influence your choice to go to a specific place as a condition for your payment. If you have comprehensive insurance, calling around may be of no use since the price may already be negotiated with your insurance company. If you don’t have any coverage, be sure to get a hard copy estimate to avoid bait and switch tactics by other glass shops. Your windshield isn’t included in the safety equipment of your vehicle. Nope. Your windshield is regarded by many engineers as a safety feature to prevent ejection from the vehicle in the case of a collision. It also holds up the roof of the car and helps airbags deploy properly. A faulty windshield is ineffective at protecting the riders inside the car and can be life threatening. Confident about getting your windshield replaced? Give Wizard Auto Glass a call at 1 (877) 564-5331 for reliable quality service! This entry was posted in Uncategorized on September 8, 2016 by Auto Glass Wizard's Blog. What Types of Windshield Damage Can Be Repaired? It goes without saying that windshield repairs, when compared to windshield replacements, are much more affordable and cost-effective. However, sometimes the windshield damage is too great, and is not eligible for a windshield repair. How can you tell if you are able to repair your windshield? What are the differents types of windshield damage? Find out on our blow below and see if you are eligible for windshield repair! What Damage Cannot Be Repaired? What Types of Cracks/Chips Can Be Repaired? The size and type of the crack or chip can also affect whether or not you have to replace your windshield. Accidents happen. If you are in a car accident, you may be worried about the condition of your windshield. 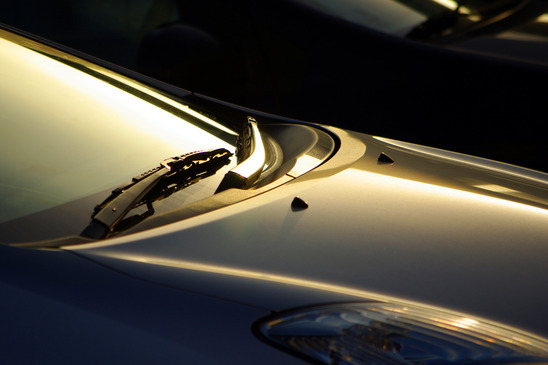 If you get your windshield repaired as soon as you notice damage, you may be able to avoid cracks and chips spreading. A small chip or crack is easy enough to fix, and will not result in needing a replacement if handled as soon as possible. Need windshield repair or replacement? Call 1-(877)-564-5331 and schedule your windshield service today! This entry was posted in Uncategorized on May 25, 2016 by Auto Glass Wizard's Blog. Sometimes, there is some anxiety inducing about who to trust in the auto repair or replacement world. There are so many shops that over-price and under perform. If you’re worried about unexpected feeds and poor windshield replacement, we’re here to help. Our guide below shows you exactly what you need to ask potential windshield replacement companies to ensure that they are honest and transparent about their services. Get more for less today! Do You Hire Certified Technicians? All too often, unsavoury auto glass shops will hire “technicians” with no real training or experience in an attempt to save a couple of bucks. It is completely in your right to ask the auto glass shop if their technicians are certified. In fact, we would recommend you do! Reliable shops like the Auto Glass Wizard will only hire skilled and professional technicians. Will my replacement come with a warranty? If you are having any services done to your vehicle, always check to see if it will include a warranty. If an auto glass shop does not offer warranties on each and every replacement, you can assume that they do not stand behind their services. A shop that offers warranties knows that it is very unlikely an issue will occur. However, in the rare situation that something does happen, you will have your bases covered. Ask anything and everything you feel you are unsure about! A professional and respectable shop will be more than happy to explain anything that might be confusing to you. If you find that your auto glass shop becomes agitated or annoyed at the questions, it might be time to look elsewhere for replacements. An auto glass company should be attentive to the fact that they are servicing a very expensive commodity, and owners have the right to be cautious. Get all this, and more, today with the Auto Glass Wizard! Call us at (416) 258-0110 for more information! This entry was posted in Uncategorized on May 17, 2016 by Auto Glass Wizard's Blog. The weather is finally warming up in Toronto. For some people, this means more roads trips and vacations; that’s a lot more driving than the winter months. This also means your windshield is more likely to be damaged. Sadly, sometimes cracks and chips are just unavoidable. If you need a windshield service, give Wizard Auto Glass a call. All windshield services come with a lifetime guarantee. While damage to our windshields often no avoidable, there are a couple of easy things that you can do while driving to avoid cracks and chips from rocks that might get thrown at your car. Keep reading for our driving tips on how to avoid damage to your windshield. Mud Flaps: Mud flaps are sometimes on larger vehicles. They are used to protect the vehicle, and the cars around and behind it, from mud, dirt, rocks, and debris. If the flaps are damaged, then they are not much help against rocks that could fly up at your windshield. Even if larger trucks are supposed to have mud flaps, not all do; make sure you take note of larger vehicles and stay a safe distance from them to avoid damage to your windshield. Distance: Keep a safe distance back from other cars. If you are following too closely to other cars, you are prone to getting hit by rocks and other debris. Try and remember the three-second rule; you should keep a speed that puts you three seconds behind the vehicle in front of you. Choose a point that the car in front of you goes by, and count how long it takes you to drive past it. If it’s less than three seconds, reduce your speed. Wizard Autoglass is here to offer affordable windshield services. Have your car assessed by a skilled and trained professional by calling (416) 258-0110! This entry was posted in Auto Glass Related, Auto Glass Repair, Auto Glass Replacement, Uncategorized on May 11, 2016 by Auto Glass Wizard's Blog. Sometimes when car damage happens, car owners wonder if repair or replacement is absolutely necessary. While a ding or crack here and there may seem harmless, in reality, this is not the case. 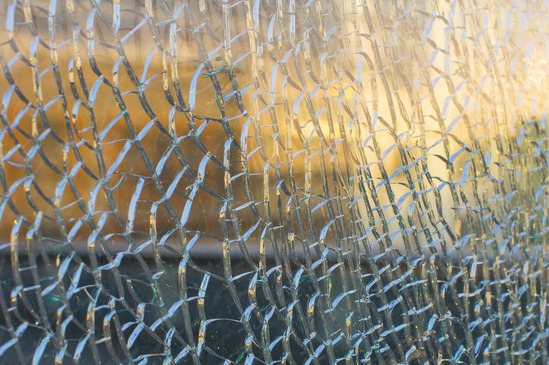 If your auto glass has been damaged in anyway shape or form, read our blog below to see if your really need to have it fixed. You don’t have to get into a critical accident for your windshield to be damaged. Even a pebble on the freeway can cause a crack or hole in your windshield. It is important that you promptly have the damage assessed by a skilled professional, so that they can tell you what the safest route for your vehicle is. While a small hole or crack might seem harmless, it has the potential to become something much worse. Cracks and holes can spread, making your damaged windshield a thread to not only your vehicle, but to you, your passengers, and others on the road. A crack spreading will also result in needing a full windshield replacement, which is much, much more costly than a simple windshield repair. Save yourself the worry, hassle, and cash, by simply having it repaired. You’d be surprised to hear that repairing your windshield is not a very long process, thankfully! 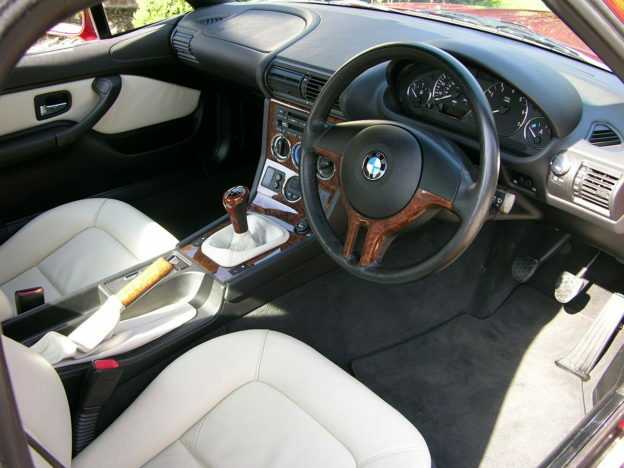 It is very likely that minor cracks and dings can be repaired in less than an hour. This means you can have the damage assessed and fixed in no time, ensuring that you are making safe and conscious driving decisions. 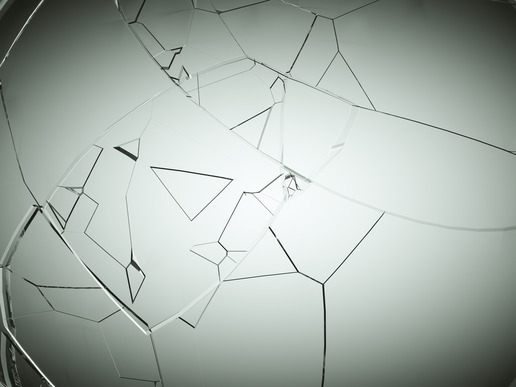 If your crack or hole is larger, it might not be eligible for a windshield repair. If this is the case, a windshield replacement is the only safe route for you. Luckily, Wizard auto glass offers the lowest rates on high-quality windshield replacements! Get your windshield serviced today, for less! Reach us at (416) 258-0110 to learn more! This entry was posted in Uncategorized on May 9, 2016 by Auto Glass Wizard's Blog.